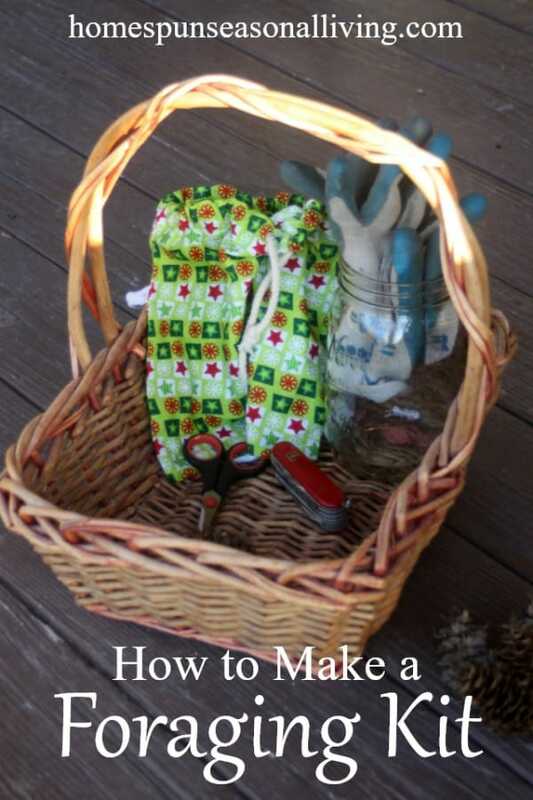 A well stocked foraging kit can truly make or break outdoor adventures. This is a simple thing to pull together and likely won't cost anything extra – you probably already have most (if not all) of the necessary items at home. 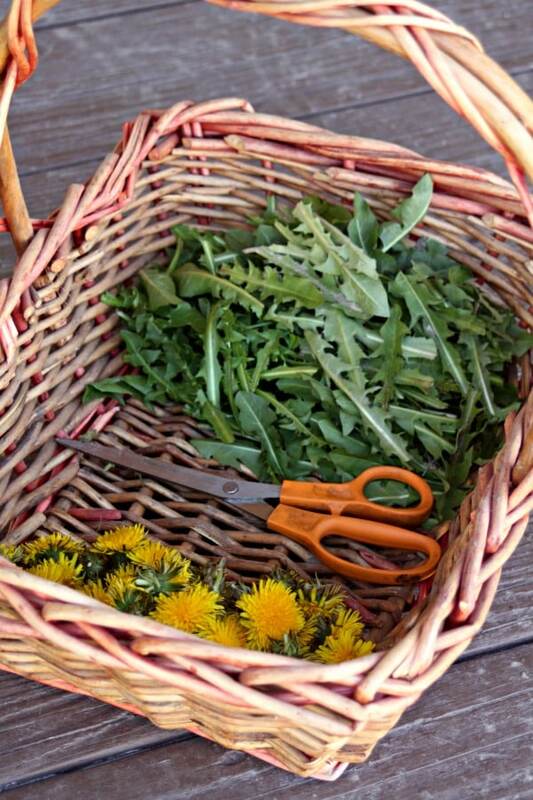 Make a foraging kit and be prepared for your next wild harvest. A basket or bucket works great. A bag you can easily sling across your shoulder or a backpack can work too. I, personally, prefer something I can have on my hip so that I can easily collect but a backpack can work. Use whatever is easiest for you and honestly the terrain you're foraging. You can, of course, just collect everything in an open basket and take it open. However, it might be preferable to have a few different compartments in the foraging container. There's nothing wrong with mixing things together but berries can bleed onto flower petals and that might not be ideal. Roots or mushrooms might make other things extra dirty. Keep a couple of drawstring bags inside the container and use different bags for different collections. You can make your own (obviously mine are homemade from various fabric scraps) or buy some. Do use cloth not plastic bags to prevent extra condensation and let everything breathe until it gets home. I keep at least 6 bags in my foraging kit, they're light to carry and I've never regretted having more, not having enough however is a bugger. Perhaps a sturdy jar or other container for tender berries and mushrooms to avoid crushing them. The nice thing about drawstring bags is that they are lightweight and unbreakable for an easier foraging adventure. But there are times when something sturdier is needed so having a jar comes in handy. There are limitless choices, of course. I use a Swiss Army Knife that my father gave me when I graduated high school. It has multiple blades and can just as easily help me dig up small roots as it can cut through some things. Use whatever knife is most comfortable for you but something that folds is especially handy and safe. Sometimes a pair of scissors is easy than a knife. A small pair that lets you cut leaves or flower blossoms. Something lightweight and sharp. These don't have to be expensive at all, just sharp enough to do the job. 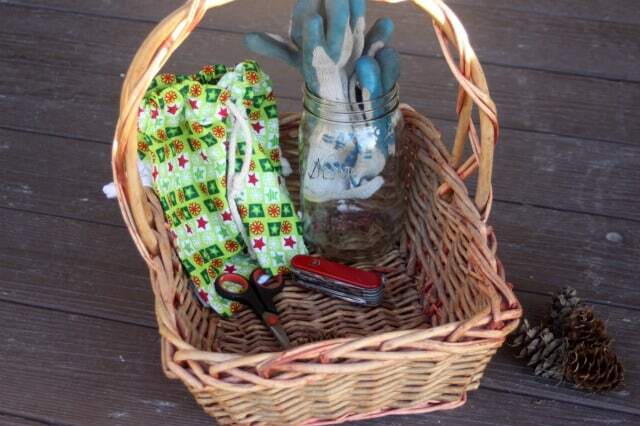 Depending on what you're foraging a pair of gloves can be a very nice thing. Things like stinging nettles need gloves, rose petals might not. Having them in the foraging kit is a good because you just never know. Not having them is always more of a pain than having them, I can guarantee that. A field guide can be very handy for dispelling confusion between two very similar plants or just confirming pretty solid guesses. It can be an especially helpful tool. Make sure it's a guide designed for your geographic area. I'll be honest, I don't keep a field guide or identification book in my foraging kit. If I'm unsure of a plant, I don't collect it. Rather, I take photos of it with my phone and record notes so that I can find it again later. I know there are several identification apps for smart phones. There have been reports about horrifying inaccuracies, however. I imagine these things will get better with time but I would't completely trust them just yet. Even better, take a Botany & Wildcrafting Course to get familiar with using identification keys before heading out. Always confirm identification prior to touching, collecting, ingesting. In the car. Honestly, it doesn't take up that much room and you'll be so glad you have it there for impromptu walks or lucky discoveries (remember to always forage responsibly). It's as easy to grab from the car at home on a day you decide head out in the neighborhood as it is when you park before heading out onto the trail. Thanks for these tips and you are right, I do have everything to make my own kit. I’ve been forging for dandlion and have to put them in my pocket so again the kit will help me with that. You are so welcome and I’m glad the tips are useful. Happy foraging!